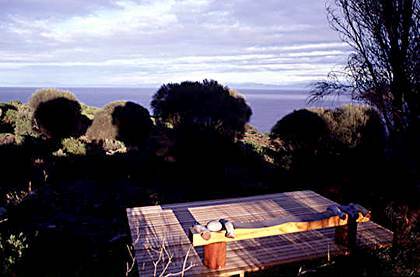 Twice a year, Windgrove Studios  with its magnificent vistas of coastal heath and wind blown trees  is open to the public as part of Australia's Open Garden Scheme, a non-profit organisation founded in 1987. Its mission is to promote the knowledge and pleasure of gardens and gardening across Australia by opening Australia's most inspiring private gardens to the public. Outside the Open Garden dates, future plans include private guided tours, lectures and workshops covering plant identification and photography. Stay tuned!